Fairmont Mt. 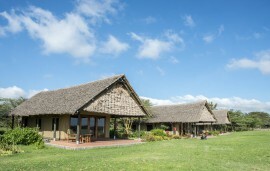 Kenya Safari Club is a five star resort set on 100 acres of green, landscaped gardens facing the majestic Mt. Kenya. The resort has 120 rooms in different categories. Fairmont Mt. 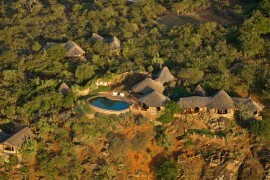 Kenya is the ideal location to tour the rest of Mt. 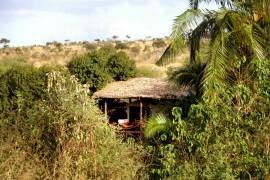 Kenya area from, with a lot of attractions within reach. 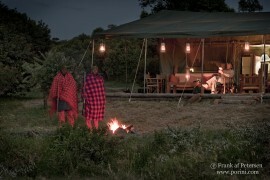 It is the ideal base for a truly superb holiday in Nanyuki, Kenya. With some of the country’s finest attractions on the doorstep, visitors to the resort can enjoy an enormous range of excursions and activities without spending hours and even days traveling between each. Making it one of the most truly best hotels in Kenya. The Fairmont Mount Kenya Safari Club offers luxury accommodation in Nanyuki. A magnificent view to behold, the prestigious main structure reflects the 1950’s colonial architectural design with a luxury country club feel, complemented with independent quaint cottages, including William Holden’s original cottage. Fairmont Hotels & Resorts renovated and upgraded the Club and its luxury accommodations in 2009, however maintained its rich history and ambiance of a hunting club and reflects the history and charm of the original residence, complete with modern day facilities. Most of its rooms have magnificent views of Mount Kenya and closely located to its superb dining facilities and recreational amenities. Fairmont Mt. Kenya is the ideal place to hold a conference, located only three hours from Nairobi and yet is a beautiful and serene setting. It has several meeting rooms of different capacities all fitted with modern conferencing equipment such as flat screen televisions, projectors, DVD players etc. There is also a business center and a secretarial office is available on request.